Many of our visitors to Outchester and Ross Cottages simply enjoy the peace and quiet of this lovely place and like to sit in their gardens, take themselves off for country walks from their cottage or just relax in their own way. Others are keen to get out and about and explore the seashore, the Northumbrian countryside, castles and places of interest. For visitors who are eager to see more of the area, we have put together some suggestions for recommended activities during your stay here. 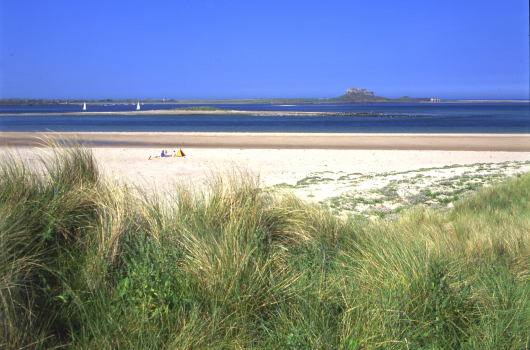 Experience the magic of beautiful Ross Beach, a three mile stretch of sand with views Holy Island to the north and Bamburgh Castle to the south. A 20 minute walk across the dunes from Ross. Depending on the tides, take a trip to Holy Island (www.lindisfarne.org.uk) and visit the beautiful castle and priory but remember to check the tide table before you set off. You can do this through the Northumberland County Council website (www.northumberland.gov.uk) or the local paper. Enjoy Sunday lunch at the Barn at Beal (01289 540044 www.barnatbeal.com) or at the Victoria Hotel (01668 214431 www.victoriahotel.net) in Bamburgh. 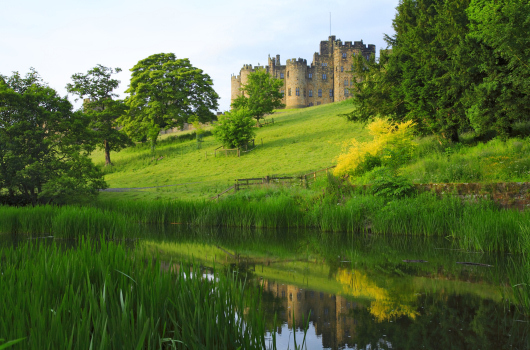 Visit Alnwick and see the magnificent castle (01665 511100 www.alnwickcastle.com) and Alnwick Garden (01665 511350 www.alnwickgarden.com). Advisable to take a change of clothes for small children if visiting the garden as there is lots of water about! If you have time, visit Barter Books (01665 604888 www.barterbooks.co.uk) in the old station at Alnwick one of the UK's largest second hand bookstore and a treasure chest for bookworms of all ages. A trip to Bamburgh Castle (01668 214515 www.bamburghcastle.com) is highly recommended, followed by a walk along Bamburgh beach where children can play in rock pools, paddle in the sea, build sandcastles and enjoy an ice cream. Fish and chips in Seahouses is always a good way to end a day on the beach. Edinburgh is just a 40 minute train ride away from Berwick. Hop on any one of the regular trains and explore Scotlands capital for the day. Edinburgh Waverly station is right in the heart of the city. More information on train times from www.trainline.com. A boat trip to the Farne Islands with Billy Shiels to see the lovely seals and puffins is all you will need to make your visit to Northumberland complete (01665 720308 www.farne-islands.com) There are sailings from Seahouses throughout the year.